Cattier like all other champagnes is made in the champagne region of France and is produced according to the same strict rules that all champagne is produced to. See my post on how champagne is made for more details on this process. It is difficult to see this bottle and not be amazed by it. The blue tinted glass when held up to the light glows a calming blue. The labels are all made from embossed metal that is similar to that found on Armand de Brignac (Ace of Spades). 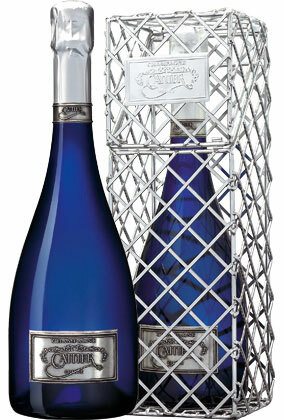 On top of all this the bottle comes in a steal cage with more embossed metal labels. To put this mildly, this bottle looks great. The good thing about this champagne is that it doesn’t stop there. The quality theme from the bottle follows through into the liquid. 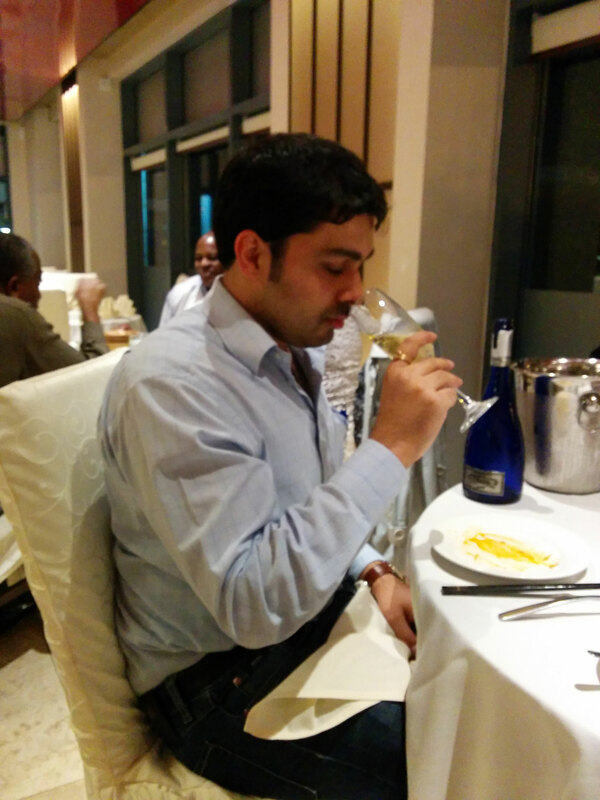 Cattier Saphire champagne is made form a blend of approximately 50% Pinot Meunier, 30% Pinot Noir, 20% Chardonnay. 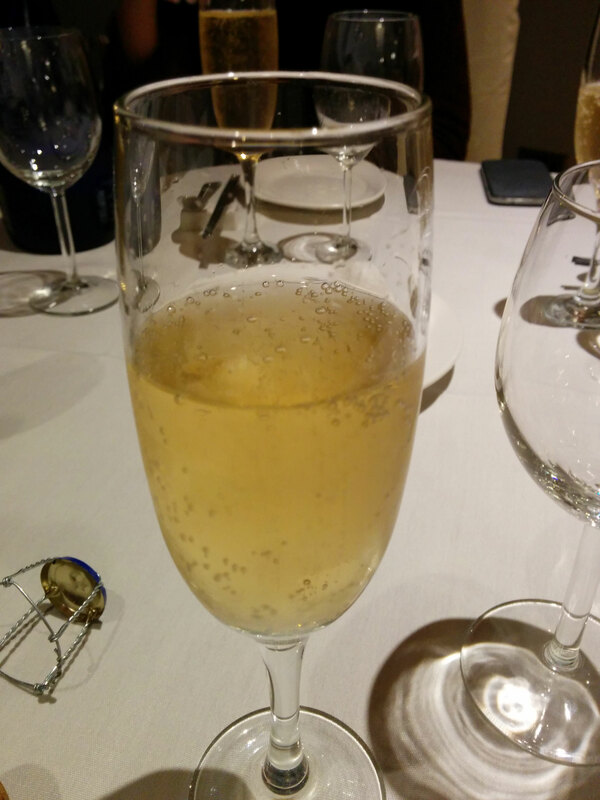 During the fermentation approximately 10 grams of sugar is added per liter of liquid which gives this champagne its slightly sweeter easier drinking taste. Cattier is a bright amber colour that seems to glow like a small sun when light passes through it. On the nose you get a fantastic blend of brioche, honey and winter stewed spiced fruits. The spiced fruits carry forward to the pallet with hints of flavours normally associated with freshly baked bread. You get a clean crisp very mild citrus taste on the finish which is refreshing but keeps you craving more. 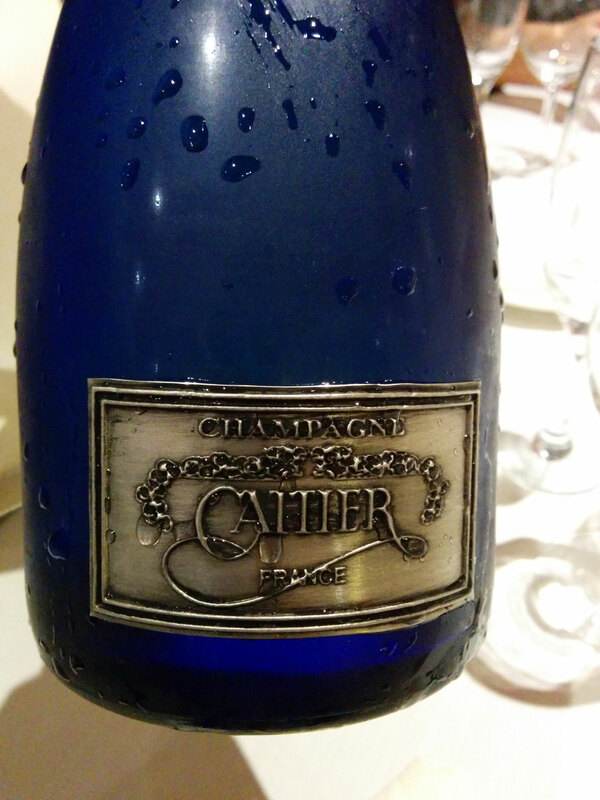 To conclude, Cattier Brut Saphir Champagne is a fantastic champagne but due to the price it falls more into the special occasion champagne rather than the daily drinking. It retails at around £60 to £70 per 75cl bottle but is a fantastic purchase. Posted: 04/04/2014 02/04/2014 . 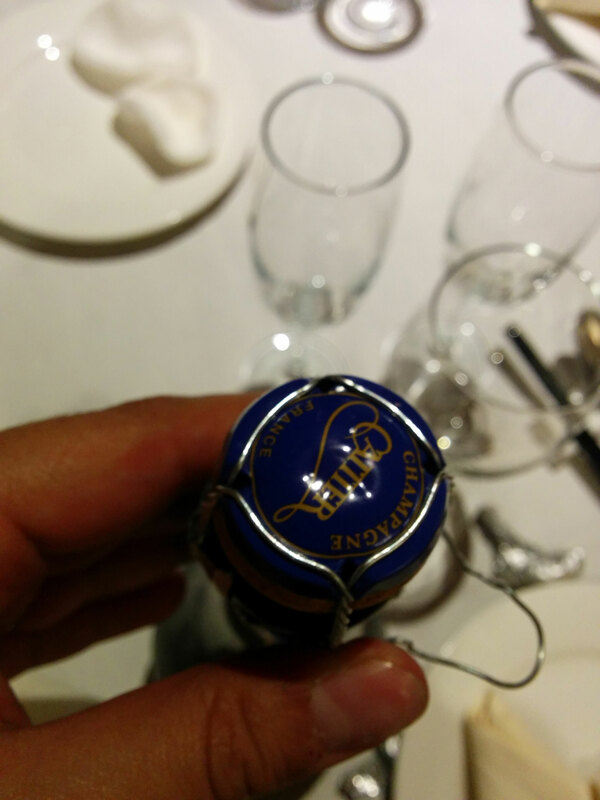 Tagged: amber, blue, Brut, Cattier, champagne, France, glass, golden, review, Saphir, sun, tasting, tinted. Bookmark the permalink.